The road to fitness isn’t an easy one, but with a little motivation (and good design) it can become a little more doable! We were briefed by EOH to create a fitness journey map for GEMS, encouraging employees to reach their fitness goals and embrace their inner awesomeness. 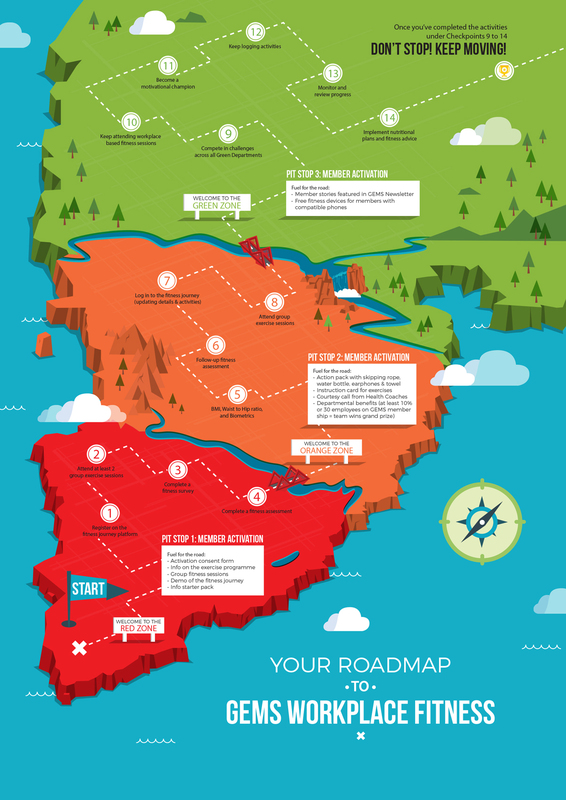 With various milestones set along the way, the map ultimately helped guide participants along their journey to fitness – from the Red Zone all the way up to the Green Zone.